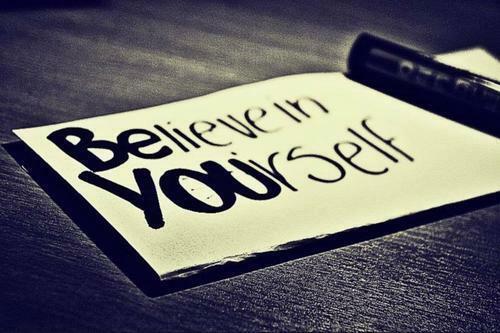 Believe in yourself as much as you believe in your dream. Everything starts with a dream. Many dreamers fail just because of the lack in ‘Self-Confidence’. Stop thinking that your dream is too big to achieve. As the best saying ‘Nothing is Impossible’. Wasting your time in thinking about what is going to happen, dare to take the risks/chances, make your efforts to implement your ideas and give the best transformation to it. At Least come forward, take one step, be the beginner, either you will fail or achieve. But make your continuous efforts. Then you’ll see nothing is too big to think. Knowing that you are worthy of your dream is an essential part of bringing it to life. If you are facing failures, it doesn’t mean to stop dreaming about it. Sometimes failures will break you down and make you weak, use your strength to get back on track. Move with the flow nothing is harder. Remember these up-downs are the part of our life so don’t underestimate yourself. And failure’s are something from which we get to learn. So, take it in a positive manner. Sometimes it takes time for our dreams to work out. Action is important but sometimes we have to wait too. Be patience, Be persistent, Be passionate about what you’re doing and keep going. When dreams seem deceptive and hard to chase we have to stick to them. There is no age to struggle with your dreams, it only depends person-to-person. Always remember struggling fruits are more delicious. There is hidden talent, something unique in each and everyone that only needs to be directed on the right way. Let your dreams float and exist in reality. Differences are what make people so peculiar and distinctive. The most important thing is to be of yourself and accept you for who you are. At Last, though start from an initial stage, break down your path to your ideal life into small goals, carve all your points and execute them at the right time. May this blog will generate some power in you people.